Below you fill find all funeral homes and cemeteries in or near Gladbrook. 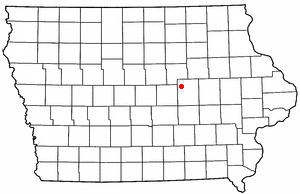 Gladbrook is also known as: Tama County / Gladbrook city. Zip codes in the city: 50635. Tama County funeral flowers can be purchased from one of the local funeral shops we partner with. Some of the notable people born here have been: (clifford berry), and (john putney). Gladbrook is a city in Tama County, Iowa, United States. The population was 945 at the 2010 census. It was reported by Waterloo/Cedar Falls Courier on October 11th, 2018 that Barbara Hutcheson (Russom) perished in Gladbrook, Iowa. Ms. Hutcheson was 85 years old and was born in Mechanicville, NY. Send flowers to share your condolences and honor Barbara's life. It was disclosed by Waterloo/Cedar Falls Courier on September 27th, 2018 that Lillian Esther Dostal (Bartosh) passed on in Gladbrook, Iowa. Ms. Dostal was 96 years old. Send flowers to share your condolences and honor Lillian Esther's life. It was reported by Waterloo/Cedar Falls Courier on July 22nd, 2018 that Naomi Morris (Couchman) passed on in Gladbrook, Iowa. Ms. Morris was 84 years old. Send flowers to share your condolences and honor Naomi's life. It was written on March 20th, 2018 that Carol Lynn Beem (Lacko) passed on in Gladbrook, Iowa. Ms. Beem was 77 years old. Send flowers to share your condolences and honor Carol Lynn's life. It was disclosed on March 14th, 2018 that Wendell Wesley "Ike" Conrad died in Tuscon, Arizona. Conrad was 101 years old and was born in Gladbrook, IA. Send flowers to express your sympathy and honor Wendell Wesley "Ike"'s life. It was revealed by Des Moines Register on March 6th, 2018 that Jane Greiner (Adams) passed on in Gladbrook, Iowa. Ms. Greiner was 98 years old. Send flowers to express your sorrow and honor Jane's life. It was disclosed by Waterloo/Cedar Falls Courier on February 27th, 2018 that Sharon Newberg passed away in Gladbrook, Iowa. Newberg was 69 years old. Send flowers to express your sympathy and honor Sharon's life. It was disclosed by Hutchinson News on December 31st, 2017 that Raynard "Sonny" Davis died in Kinsley, Kansas. Davis was 87 years old and was born in Gladbrook, IA. Send flowers to share your condolences and honor Raynard "Sonny"'s life. It was noted by The Daily Herald on December 14th, 2017 that Leona Marie Lee (Corcran) died in Rockford, Illinois. Ms. Lee was 87 years old and was born in Gladbrook, IA. Send flowers to express your sympathy and honor Leona Marie's life. It was written on December 14th, 2017 that Leona Marie Lee (Corcran) passed away in Rockford, Illinois. Ms. Lee was 87 years old and was born in Gladbrook, IA. Send flowers to express your sorrow and honor Leona Marie's life. The population was 1,015 at the United States Census, 2000 census. Gladbrook is a city in Tama County, Iowa County, Iowa, United States. . . .
Funeral in Gladbrook, IA - Local Funeral Results. View business phone number, address, locations, maps, directions, coupons, and more. Listing all funeral homes in Gladbrook, Iowa so you can easily send flowers to any location (same day delivery) or find any funeral service. Goettsch -Perrin Funeral Home, Gladbrook, IA : Reviews and maps - Yahoo! Local, 641.473.2282. Get Ratings, Reviews, Photos and more on Yahoo! Local. The finest roses, gifts and Mother's Day flowers delivered fresh. Serving Gladbrook, Iowa, surrounding suburbs and the entire country. Vogel, Kelly - Goettsch-Perrin Funeral Home, Gladbrook, IA : Reviews and maps - Yahoo! Local, 641.473.2282. Get Ratings, Reviews, Photos and more on Yahoo! Local. We work with local florists and flower shops to offer same day delivery. You will find budget sympathy flowers in Gladbrook here. Our funeral flowers are cheap in price but not in value.